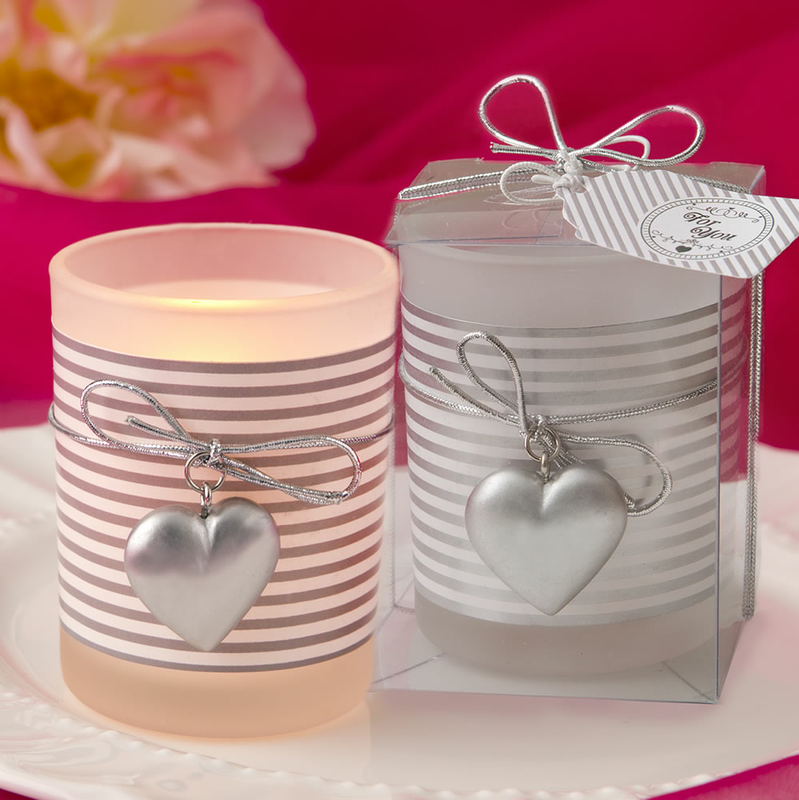 Stunning frosted glass votives with silver and white stripes are special silver anniversary favors that will inevitably impress your guests. A glittering silver heart charm made from polyresin is attached to the votive with a silver thread for added elegance. Not only will this beautiful candle holder tie to the theme of your celebration, it is also a versatile decor item. Each glass silver heart design votive candle holder measures 2 1/2" tall 2" diameter and has a white and silver striped design around a frosted glass candle. A white tea light is included. Candles are packaged individually in in a clear display box with metallic silver ribbon wrap and bow as well as a For You message.